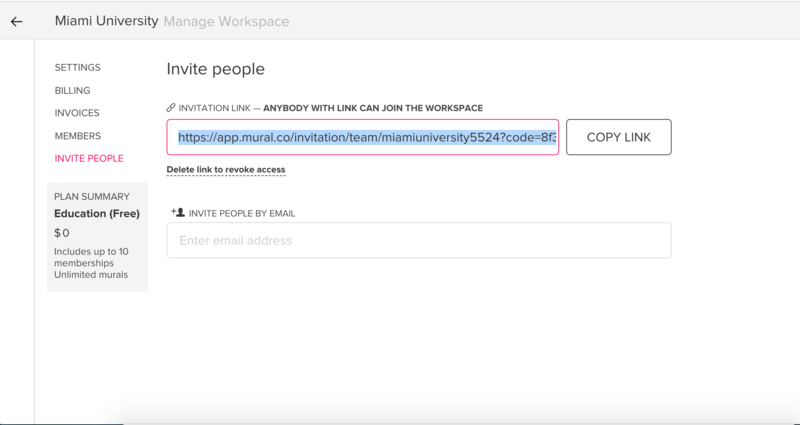 Just as you can invite people at the mural and room level, you can also add collaborators to your entire workspace (as long as you have permission). Go to "Manage workspace" (if you are the admin of the workspace you will be able to access by clicking on the name of the workspace in the upper left corner). Next click on "Invite people". 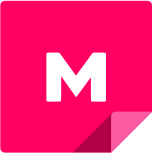 Add the email addresses of the persons you want to invite. - When inviting collaborators to your workspace you can change their permissions at the same time. This way you can make sure that they have the access to the capabilities they need before joining. Add a personalized welcome message. Once you are ready, click "Send invitations". You can also generate an invite link for the entire workspace. You can copy and paste it into an email together with instructions, or share it in any other channel. Anyone with the link can join your workspace. If needed, you can delete the link to revoke access and generate a new one. Now, you can efficiently get your whole team together and start creating magical things in MURAL.